I am a huge fan of the Michael Todd Soniclear Elite. Huge. Taking good care of my skin is a top priority for me and my Soniclear Elite is a big part of my skin care routine. I have been enjoying first the original Soniclear and the Elite for a year, now and I have noticed a real difference in my complexion, thanks to this innovative skin care tool. I shared my experience here and I am still loving it, especially that refreshing, rejuvenating C-Boost Technology™. 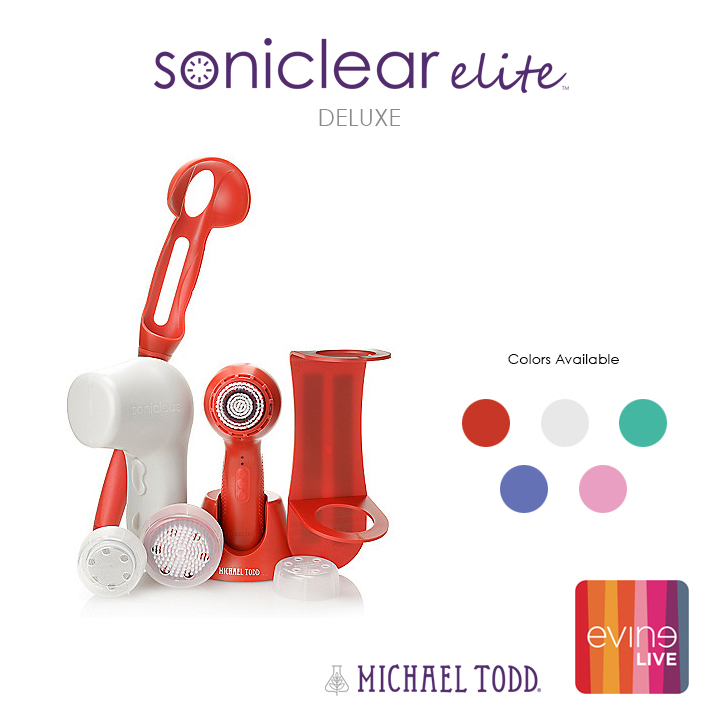 Michael Todd is premiering their Soniclear Elite Deluxe on EVINE Live and evine.com featuring a special Michael Todd Today's Top Value - EVINE Live's best value of the day! If you aren't familiar with the Soniclear Elite, it will refresh and revive the look of tired skin with it's sonic powered, antimicrobial brush heads. The complete body, pedi, and face systems with an optional C-Boost Technology™ mode, make this "youth machine" the go-to cleansing and exfoliating tool for all skin types. Especially suited for aging skin to slough off dead, dulling skin sells while deep cleaning the pores of dirt and makeup for a refreshed appearance and a more radiant complexion. Michael Todd is premiering their Soniclear Elite Deluxe on EVINE Live and evine.com on 11/3 at 10pm and 11pm ET and 11/4 at 4am, 5am, 6am. 10am, 2pm and 7pm ET.